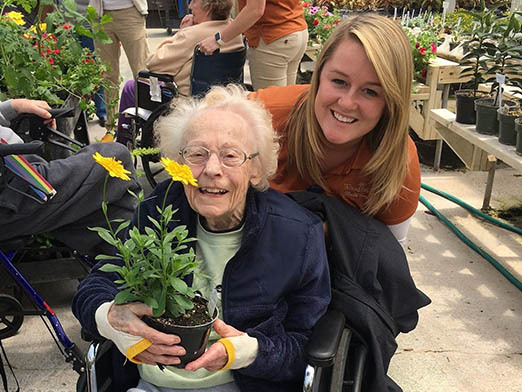 Because patients tend to have overall shorter hospital stays than previous years, skilled nursing facilities (SNFs) provide a continuum of medical care and therapy, and those who receive therapy services often return to the community. Physical, Occupational, and Speech Therapists at a SNF tailor their approach and develop a plan of care based on individual needs and goals. Therapists help assist short-term patients to regain the skills they need to return home whenever possible. A common goal for long-term patients is to enhance quality of life by restoring physical function; improving communication, cognition, and swallowing; and developing skills to perform activities of daily living. Therapists are equipped to address a variety of diagnoses, provide education, or recommend adaptive equipment to achieve prior level of function through rehabilitation. This skill set allows therapists at a SNF to help each patient reach his or her rehabilitation goals whenever possible.